I really like this eye shadow it is very creamy and it blends very good. This is the first time I purchased this product and I really like it a lot. 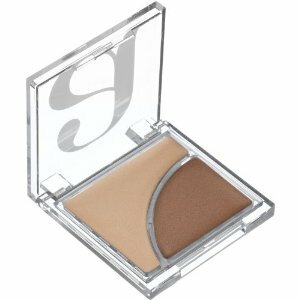 The eye shadow comes in a dual shade square container with complimentary shades. It goes on as a cream and turns to a powder almost instantly. Absolutely no creasing at all, stays on for hours, and brightens the lids. I apply it with a make-up brush, but a sponge applicator would do just as well.